That soft muzzle, their sweet smell, the gentle wicker. Your horse & you. Your story. That is what I want to capture. Muddy boots, cheeky smiles, precious moments. If this is your family life, I want to capture it for you. Memories fade, children grow up & sadly our animals can't be with us forever. I want to create with you a collection of images which capture your story & ensures you have timeless, beautiful memories to treasure for a lifetime and pass down to the generations to come. A ‘Horse & Rider Photo Shoot’ is the most popular option. 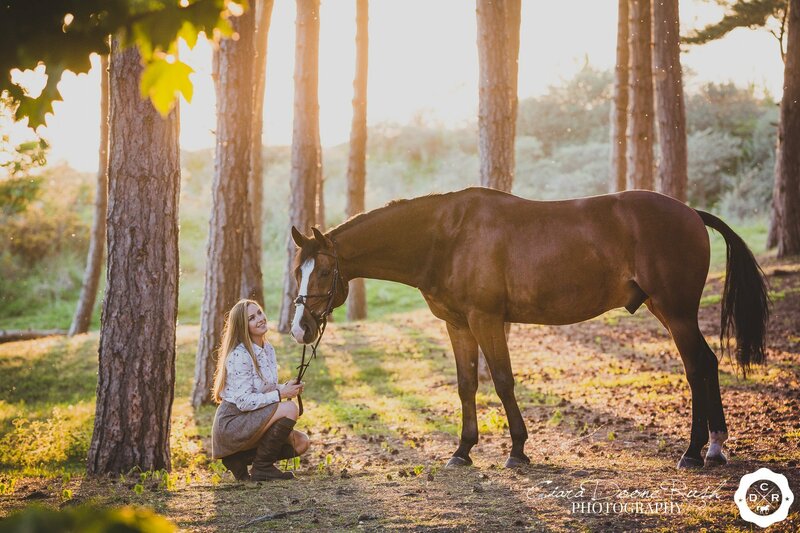 This is a photo shoot of you and your horse in your very favourite place. A ‘Family & Animals Photo Shoot’ is a session at a location of your choosing where you can include all of your favourite people & animals. An ‘At Liberty Photo Shoot’ is simply all about your horse or dog. A ‘Minus the Mud Horse & Rider Photo Shoot’ is the ultimate pampering experience for any usually muddy rider! A day in the life of an equestrian. A documentary style Photo Shoot at an equestrian competition of your choosing. Sadly our Equine friends can’t be with us forever and this is the perfect way to treasure their memory.